New and changing regulations and the subsequent compliance needs are creating huge opportunities for the channel within the growing healthcare vertical. 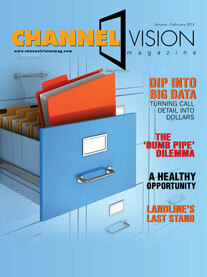 Big data is set to be the “must have” competency of 2012, according to analysts at IDC. Whether or not that comes true, telecom companies should be considering the myriad ways data analytics can improve the customer experience and turn call detail records into dollars. On one hand, service providers would prefer to be seen as suppliers of high-value, differentiated services, with retail plans and offerings that reflect sophistication. On the other hand, for many users, simpler is better. Finding the right balance will be an ongoing challenge for service providers and their sales partners. Although global revenue figures suggest the telecom business does not face fundamental issues, there are growing indications that not only is this perception a mistake, but that the actual impact will start to be seen in the next few years.